thanks to everyone who left comments on yesterdays post. kirsty and i really enjoyed reading them!!! day 277 and day 7 with steve. 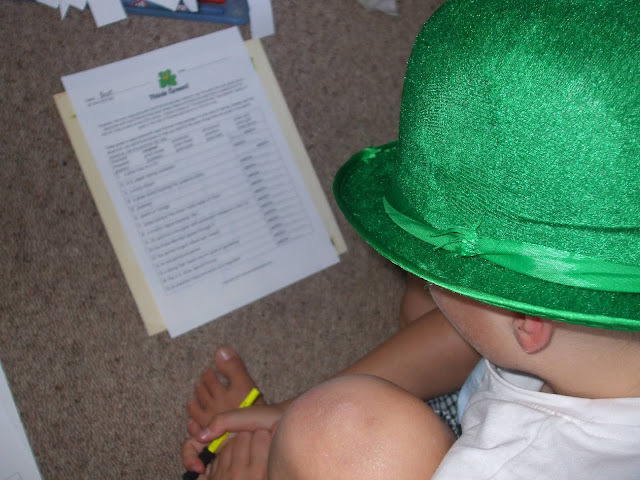 today is a bit different as we chose to print out numerous ideas from kirstys st patricks luck board on pinterest and incorporate them into a themed home-school day. as you can see, ben is still wearing his favourite hat so was right into the theme! 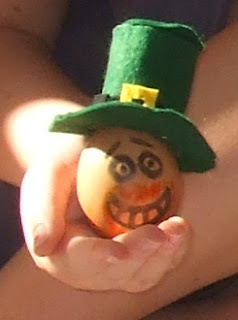 enchantedlearning.com: a tabbed workbook providing a great overview of the saint, symbolism, and irish culture. 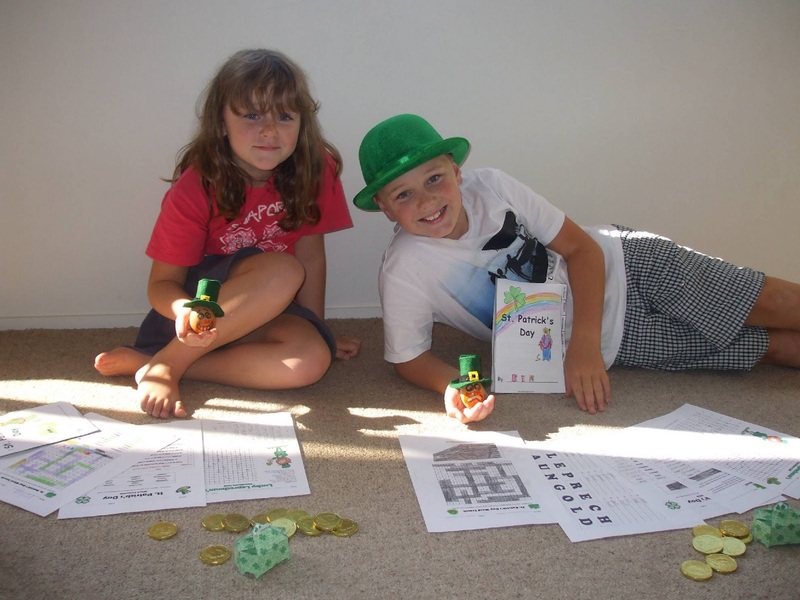 hellokids.com: nifty little leprechauns treasure box that we filled with chocolate gold coins. 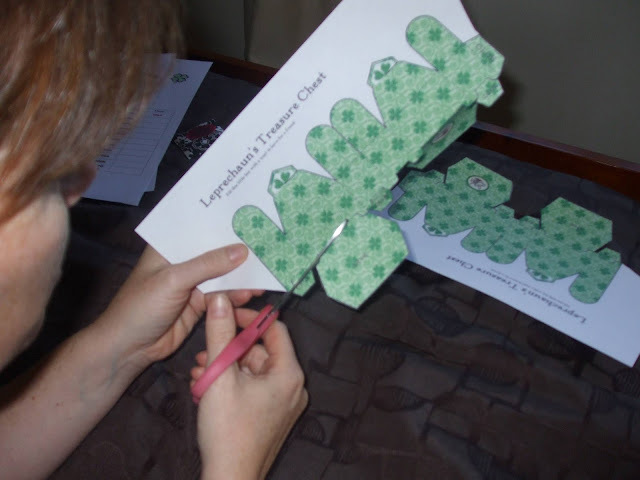 educatorworksheets.com: good variety of craft, spelling, comprehension and math exercises. you would be surprised at what these will teach your kids......did you know for instance that a rainbow is actually a complete circle but we can only see part of it? i didnt until my kids told me today (followed quickly by a sly-dad google confirmation). outcome: home-schooling has been a challenge over the last week with kirsty out of action. 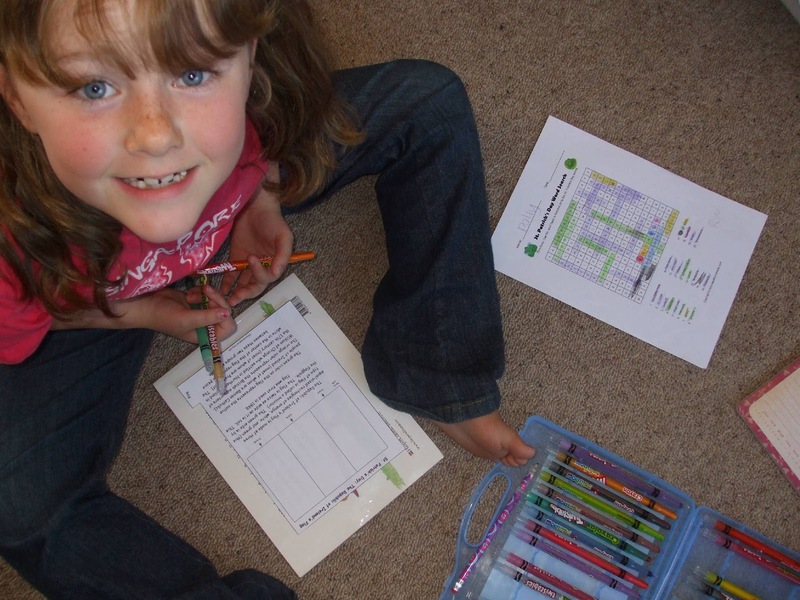 these fun worksheets allowed the kids to be fully engaged throughout the day with kirsty nearby resting flat! 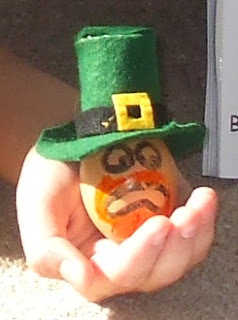 the day was finished up with a small craft exercise with dad to pimp out a few eggs leprechaun style. Hello! I have been reading this blog from about day 70 or so. I've got it on my blog so I keep up with all your fun things. I've been so impressed that you kept up projects while you traveled and now that Kirsty is hurt. 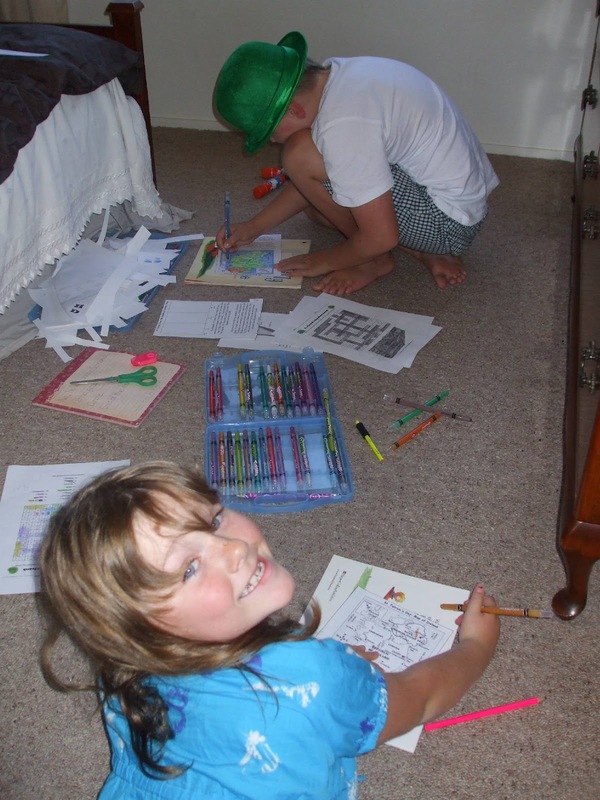 Your children are really sweet - they remind me of when I homeschooled my children back when they were younger. If your blog posts are anything to go by, I bet Polly and Ben have a blast each day in the classroom! I never knew that about rainbows either!! !